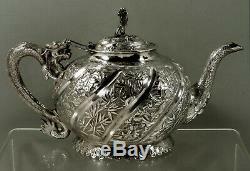 CHINESE EXPORT SILVER TEA SET c1890 SIGNED - DRAGON HANDLES & SPOUT A rare four piece Chinese export silver dragon handle and spout tea service. Unique swirl fluted globe form with rolling wave edge base. 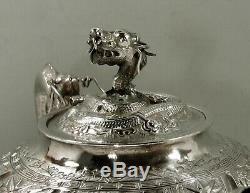 The fluted panels with hand carved warriors in battle, dragon and various fruit and floral scenes. 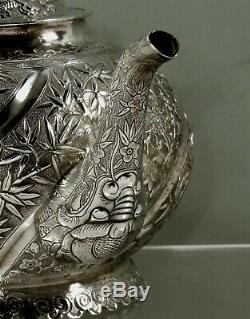 The work is beautifully detail. 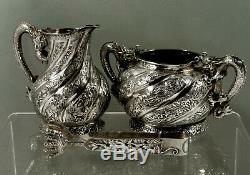 Each piece with decoration different from the others. 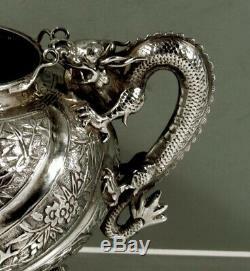 Teapot cover retains the original raised dragon head finial and inverted dragon head spout. Each piece with fully cast and detailed arched back dragon handles. 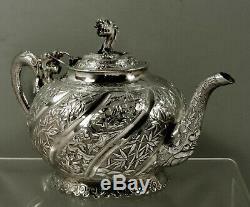 This late 19th century dragon handle teapot is 10 inches and the complete four piece set weighs 33 1/2 standard ounces. 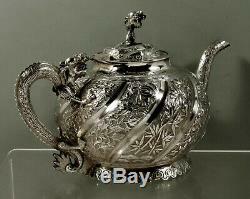 Rich silver patina, retains near original detail. 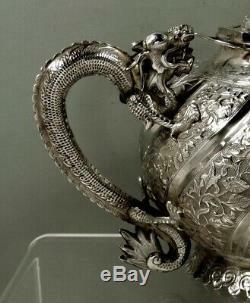 The teapot finial has been re-attached, the tongs with one tendril missing from dragon. The set sells world wide. 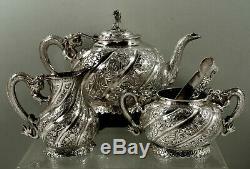 The item "Chinese Export Silver Tea Set c1890 Dragon Handles & Spout" is in sale since Saturday, March 30, 2019. 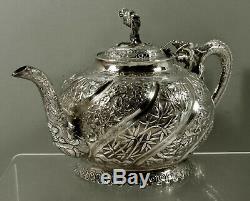 This item is in the category "Antiques\Asian Antiques\China\Teapots". 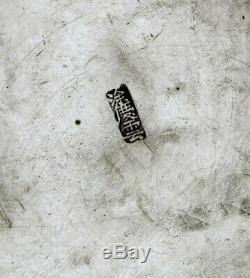 The seller is "supershrink" and is located in Supply, North Carolina. This item can be shipped to United States.